If your looking for a place to hold your phone on your ride we have the solution! 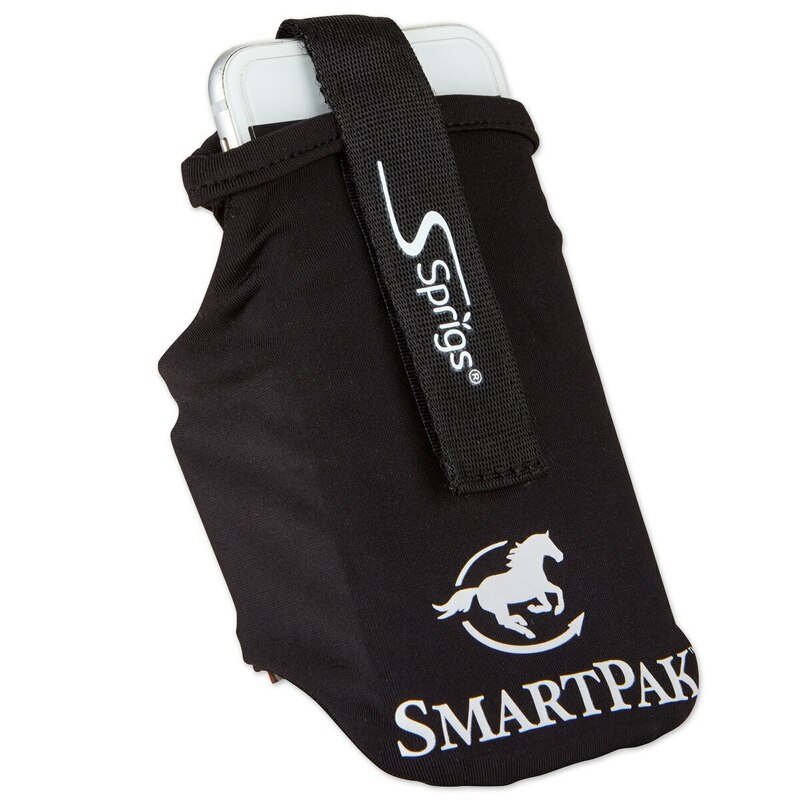 The SmartPak Armband Cell Phone Holder by Sprigs is constructed from a stretchy light weight material which allows you to fit any size cell phone inside! 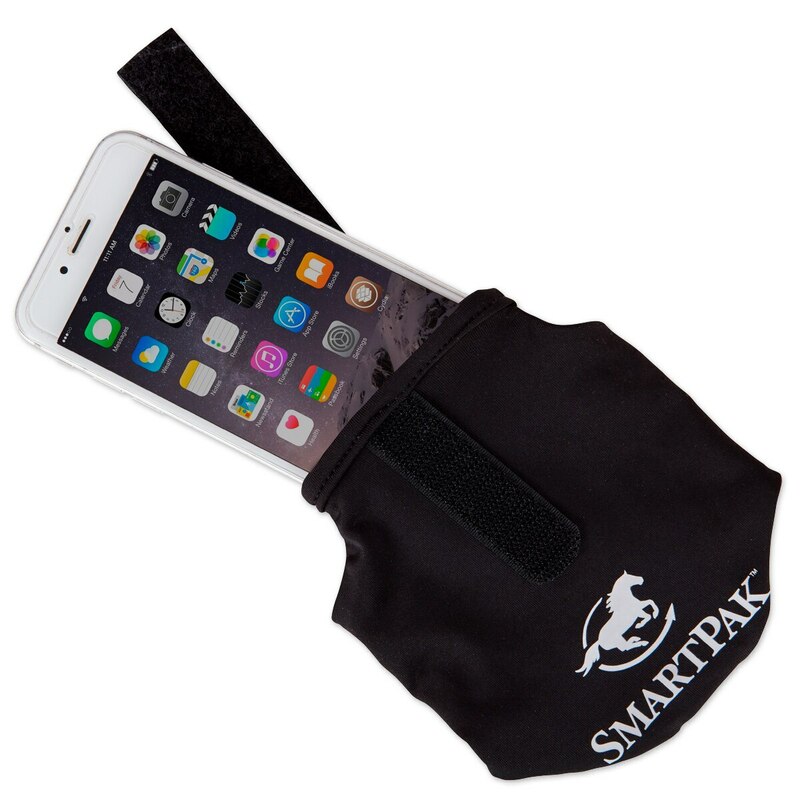 Features a secure Velcro fastener to hold your phone in place. 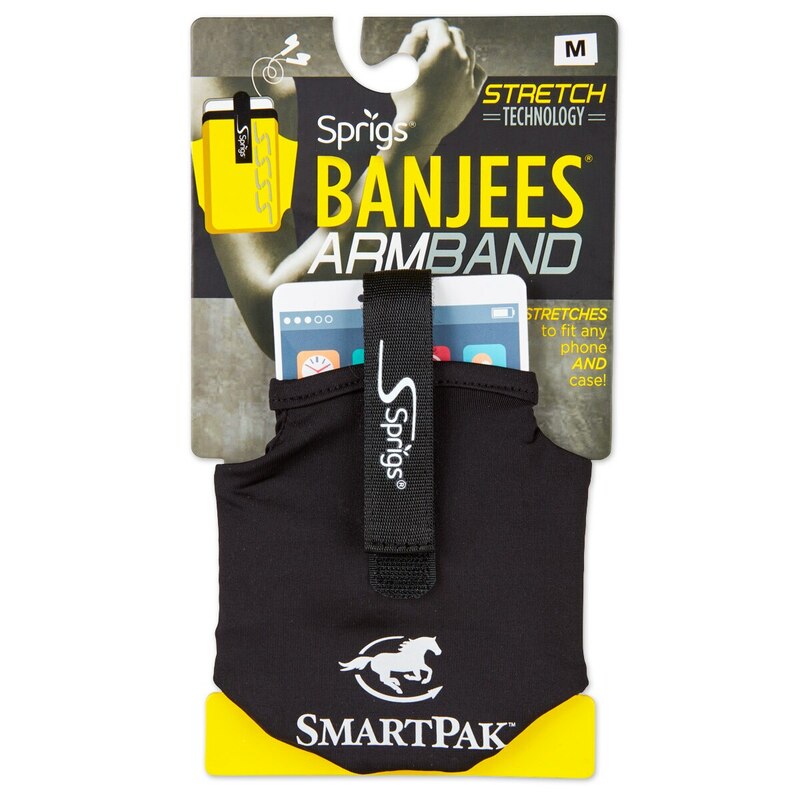 Just slide the cell phone holder up your arm and the pebble grip on the inside will ensure that your phone sits securely and comfortably during your ride. Phone size, case size and personal preference can effect the fit. Sizes below are based off circumference of your arm. Customers are raving about the Back on Track Socks! They use your own body heat to create soothing relief that can help reduce inflammation, pain, or improve poor circulation. Now available in a 2-Pack! Imported. 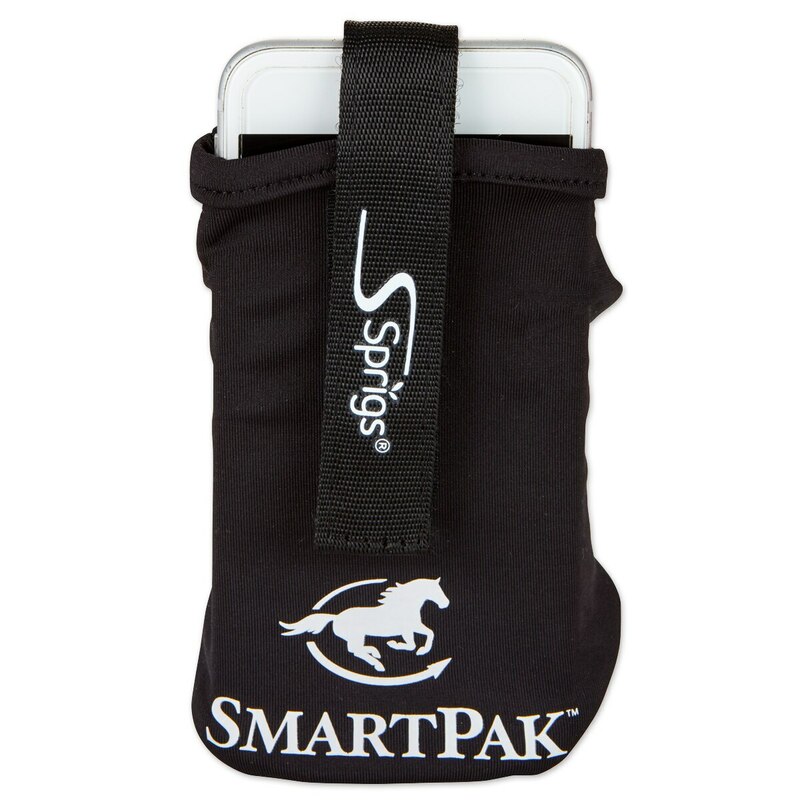 SmartPak Armband Cell Phone Holder by Sprigs is rated 3.0 out of 5 by 1. Rated 3 out of 5 by Newt from size is good, fit on arm well. it is difficult to put your phone in the holder while it is on your arm.